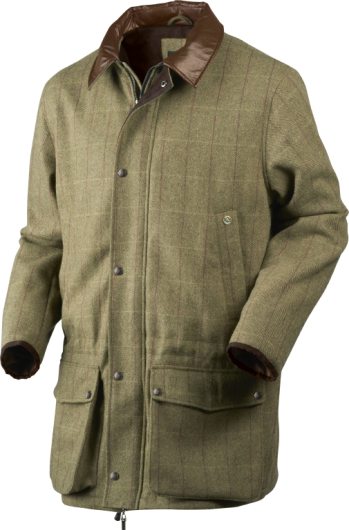 Seeland Ragley Tweed Men's Shooting Jacket in a lovely moss check. The Tweed is made from a wool blend with a durable water repellent treatment which means it doesn't absorb water and become heavy when those downpors arrive! The Ragley also features the new and improved Seetex membrane which is waterproof and windproof. Leather re-inforces collar provides a classic look. Complete with cartridge pockets with drainage holes, Ragley has been designed and developed for game shooting where tradition is important but functional is essential.